If you need a fast 4-inch printer that is easy to use, easy to deploy and easy to manage, choose the leader of the class — the ZD420. 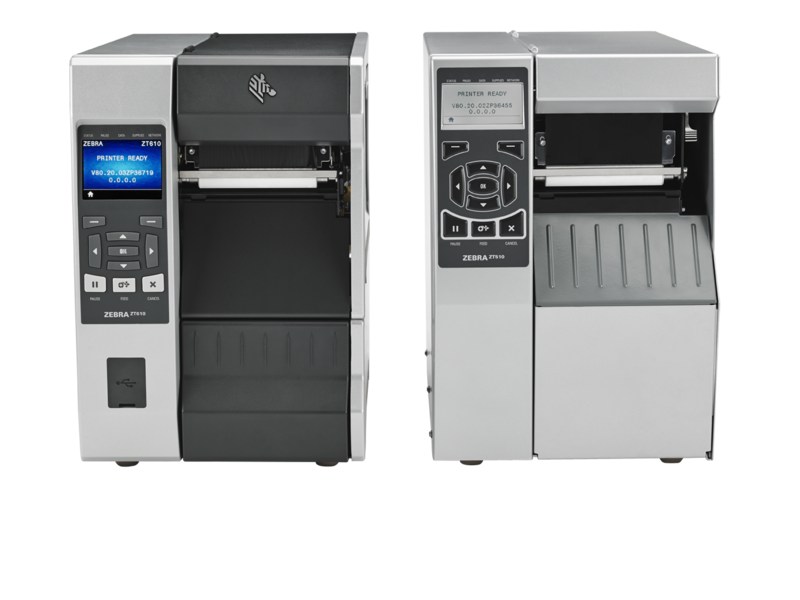 As the next generation in Zebra’s thermal transfer desktop line, the ZD420 replaces Zebra’s popular GK420t. An intuitive user interface with more status icons maximize uptime by making the printer easier than ever to use. With virtually every modern wired and wireless connectivity option and support for many printer languages, deployment is always fast and easy — just unplug your existing printer, plug in the ZD420 and you’re back up and running. Add new connectivity and media handling options whenever you need them, right on site. Monitor and manage all your ZD420 printers from the cloud, for unsurpassed management simplicity. The ZD420 runs Link-OS and is supported by our powerful Print DNA suite of Applications, Utilities and Developer Tools that give our printers better performance, simplified remote manageability, and easier integration. And our optional Zebra OneCare SV service plan provides the right level of service at the right price to help you protect your printers and avoid unexpected expenses. The ZD420 – when ease of use, application flexibility and management simplicity matter. When print quality, productivity, application flexibility and management simplicity matter, choose the leader of the class — the ZD620. As the next generation in Zebra’s thermal transfer desktop line, the ZD620 replaces Zebra’s popular GX Series and ZD500 printers, rising above conventional desktop printers with premium printing performance and state-of-the-art features. With virtually every modern wired and wireless connectivity option and support for many printer languages, deployment is always fast and easy — just unplug your existing printer, plug in the ZD620 and you’re back up and running. An optional 10-button interface with a color LCD makes it a snap to configure. Add new connectivity and media handling options whenever you need them, right on site. You can monitor and manage all your ZD620 printers, along with other Zebra mobile, desktop and industrial printers, from the cloud for unsurpassed management simplicity. The ZD620 runs Link-OS and is supported by our powerful Print DNA suite of Applications, Utilities and Developer Tools that give our printers better performance, simplified remote manageability, and easier integration. And our optional Zebra OneCare service will help you maximize the availability and productivity of your ZD620 printers with unmatched from-the-manufacturer support that covers everything. The ZD620 — delivering the maximum throughput, print quality and manageability you need to keep your business moving. Watch the footage below to learn more about the the ZD420 and ZD620. To give your field workers the ability to print receipts at the customer’s site, you need a mobile printer that can handle the elements, generate high quality receipts in practically any environmental condition, guarantee power for the longest shift, with a ready-to-use remote management solution — all at a price that won’t break the bank. Introducing the ZQ320, the little mobile printer that can do it all. This compact and lightweight printer is designed for easy one-handed operation, while the scuff resistant housing helps keep it looking like new. The elements are no match for the ZQ320; you can count on reliable high-quality printing, even in extreme heat, cold, rain and snow. Unique patented battery and battery management technologies deliver the longest battery cycle times for constant full-shift power. Zebra’s exclusive Bluetooth Remote Management application provides the powerful remote management capabilities you need to achieve superior uptime. And our optional Zebra OneCare service will help you maximize the availability and productivity of your ZQ320 printers with unmatched from-the-manufacturer support. The ZQ320 — the affordable little mobile printer that delivers big business value. To keep critical operations running smoothly, budget-conscious decision makers need printing systems that strike a balance between performance and value. That’s why Zebra’s ZT510™ provides all the core features you need without the added cost of those you don’t. 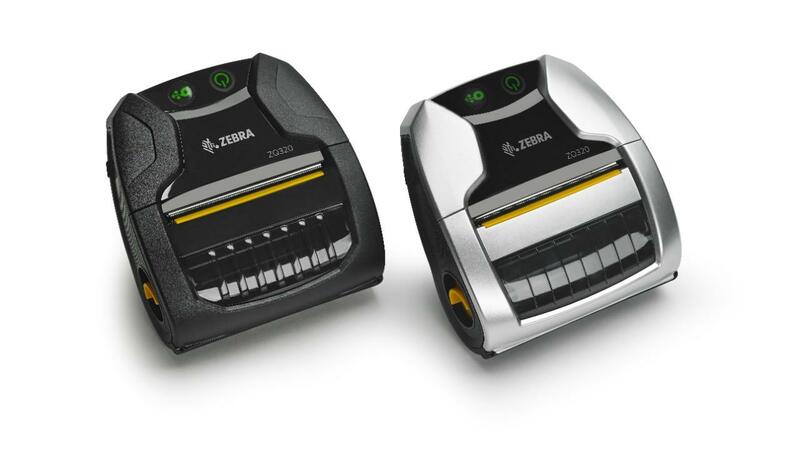 Building on the legacy of its industry-leading 105SLPlus predecessor, the ZT510 provides the rugged durability and 24/7 reliability you expect from a Zebra printer, plus next-generation high-duty-cycle print performance, fast processing, intelligent Link-OS™ monitoring and management capabilities, and flexible, future-ready adaptability. This workhorse is engineered to power through every challenge in the years to come—without breaking your bottom line. To keep your critical operations running smoothly, you need high-performance industrial printing systems that can stand the test of time, both physically and technologically. Zebra’s ZT610 and ZT620 advance the legacy of their industry leading Xi Series predecessors,, offering next-generation operational visibility, control and adaptability to meet your evolving needs—all with the rugged durability and 24/7 reliability you expect from Zebra. With the ZT610 and ZT620, you get 24/7 reliability and best-in-class high-resolution printing for small labels. You get an advanced, user-friendly design and Link-OS® environment that simplify everything from setup to management to troubleshooting. And you’ll gain greater operational visibility with remote access and management, plus future-ready adaptability to meet your needs today, tomorrow and for years to come. Please contact us to discuss more and find out about the best pricing and package that we can put together for you: 01202 055331.